Sauna near the house - the dream of every man! Here you can relax in earnest, to meet friends and socialize. Bath, as well as any other room, it requires electrification. It should be remembered that the sauna belongs to Fire Hazard. Therefore, wiring in the bath must confront all negative factors. To arrange a way of life, people build houses andfarm buildings such as gazebos and saunas. 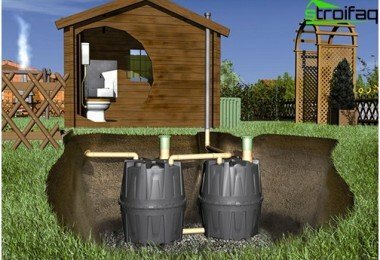 Without electricity in the 21st century, one can not do, but the cable wiring process in a wooden bath has its own nuances compared to the traditional brick structure. Aggressive factors (high temperature, high humidity, wood that is easy to light up) adversely affect the service life of electricians. More attention is paid to safety. The air in the steam room has high humidity, therefore increasing the risk of shock people if insulation is made of poor quality or improperly held wiring installation in the bath. The wiring should be routed in closed boxes or fireproof surface. Wiring in the bath with your own hands can beperformed by two methods. The first method - a "vozdushki", while the cable passes through the air, in the second case, a buried cable. 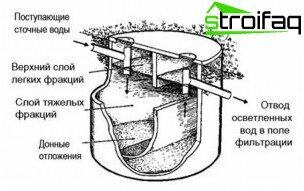 With such a connection, to the bath when the distance is greater than 25 meters, it is recommended to put the intermediate supports. When the wires are on the highways, in thethe lowest point of the cable must be greater than the height of 6 meters. And if the wire rises above the footpath, you should doderzhivatsya height of not less than three meters. Cable is connected to the bath, it is attached in such a way that the height from the ground to it is greater than 2.75 meters. However, much more reliable to hold the wire in the ground. Use made armored cables with copper veins, which has a cross section of not less than 10 square millimeters. This cable is expensive, but it can not chew moles and mice, because between the outer and inner plastic shell placed steel braid. Not afraid of him and the shrinkage of the earth. 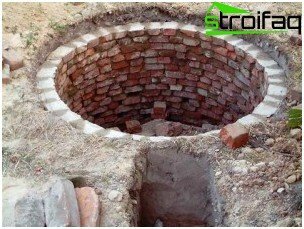 For laying the cable is better not to use metal pipes, because they are able to collect the condensate, and when the wire is in the water, it reduces its lifetime. 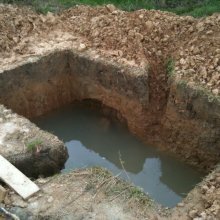 So, you have built a bath! After the erection of the sauna begin engineering work relating to the water supply, heating, sewage systems and, of course, electric cable laying. wiring diagram in the bath developed taking into account the aggressive environment, especially when the wood paneling. Before starting the installation should be aboutcalculate the power level that will withstand the steam network. From this figure depends on the strength of electric current, and therefore the choice of a particular section of the cable, which will carry the current. Learn the necessary power can bet the amount of power all the electrical appliances in the sauna. If the room is only a few light sources, it is possible to restrict the power in kilowatts pair. 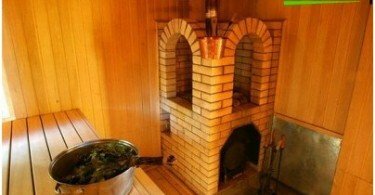 If the sauna is planned to furtherconnected home appliances, for example, water boiler, hair dryer and curling, as well as in the dressing room to install a washing machine, then it is better to take power with the stock. The capacity of 5-6 kW is quite sufficient for all needs. When a customer wants to use more energy-intensive equipment, such as elektropechkoy sauna, it is recommended to take the power of 10-20 kilowatts. 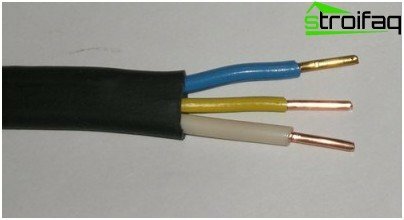 For the wiring of electricity in the bath should be takenDual heat-resistant cable insulation, for example made of rubber. The surest wire has a view of the so-called isolation "in rubber tires." Well, if the wire itself will be copper, and all conductive components of protected permeable membranes. Wiring in the bath and laid in PVCother conduits. 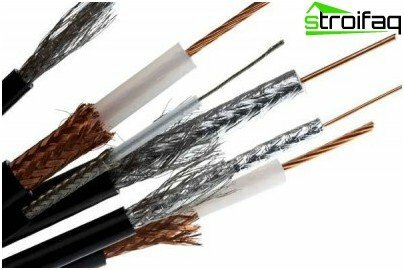 It is strictly forbidden to place the cable in metal pipes or tin surfaces, because in this case, the insulation will further warm and corrode. For wiring in wooden bath choosing the wire with double insulation brands such - Academy of Law, PRN, Academy of Law, PRVD. Sometimes a solid conductors with PVC insulation. 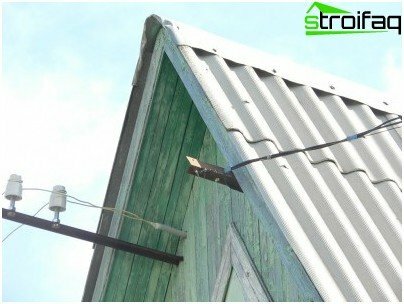 If the wiring make the tree under insulationpipe with wires made lay a sheet of asbestos, which has a thickness of 3 millimeters close that both sides will act on the cable by 10 millimeters. Wires brand AVRN, IN and PRVD with outer shell in a sauna can be run without tubes. To skip the wires through the wall, you mustuse a tube of PVC plastic. Porcelain bushings and funnels are used for terminating conductors of these: they are fully inserted into the holes of the wooden walls, each a separate cable must be laid in the new conduit. The best way to prevent the circuit in the steam roomIt is the rejection of the cable wiring inside the sauna. If you are unsure how to do the wiring in the bath safe, then we can consider this option: insert the cable into the sauna through the ceiling or wall (from the street or from the washing) in place, which will, for example, hanging lamp. For the sauna you can buy special sealedheat-resistant and waterproof lamps with sealable openings for cables made of metal and glass elements. In this case, the metal fittings of lamps must be grounded. All fixtures must be made in bryzgozaschischennom performance. If you can not place the switches outside the steam room, then they must also be in bryzgozaschischёnnyh buildings. Electrical in wood bath requires ground: All heating appliances (furnaces, boilers), rosette in the washing room, and the wiring must be grounded carefully. The lamps operating voltage must not be greater than 24 V All switches and sockets should stand outside the steam room in the changing room and other facilities. An important step in electrical workis the purchase of equipment such as protective electrician for a bath. Washer breaker indispensable for wooden saunas and baths. They are able to save the structure from fire, if you happen to wiring circuit. Due to the high humidity in the bath, use protective devices at 5-10 amps. It is possible to consider a solution where the light in thethe steam room is carried outside. For example, can be inserted into a waiting room adjacent to the heat-resistant glass block partition number, or install the glass door in the sauna. An electric heater can also be put in the next room. constitute such a wiring diagram bath easily. In areas with extremely high humidity(Paired and washing) is better not to install switches and sockets. They should be placed only in the common room and a waiting room at a height that is not less than 80 centimeters from the floor. Sockets should be chosen level of protection not less than IP-44 and necessarily with lids. Lamps and lighting is better to buy an IP 54 protection. Terminal boxes, sockets and switchesyou must select only the splash option for external wiring. The interior of the product must be covered body on all sides. Entering recommended below, with a U-shaped bend, since condensate will not flow into the inside of the product. Electrical wiring in wooden bath to electrical appliances must pass along the shortest path. Never lead wire over the stove! After completion of all installation workit is recommended to test the insulation of the wires and grounding effect. On inspection, be sure to invite the representatives of the fire service and body elektronadzora. The air temperature in the steam room oftenIt rises more than 100 degrees Celsius. Of course, you need as little as possible to use the wires in the pair, and it is better to eliminate this possibility completely. In other areas, you can lay the most ordinary cable. 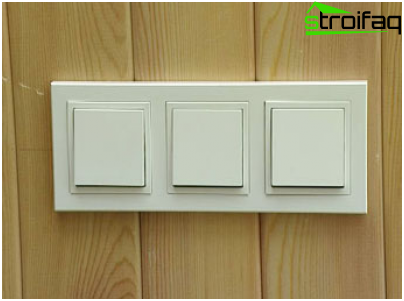 Attach fixtures necessary so that the electrical connection is possible directly after the cable out of the ceiling or wall.